A male victim has been pronounced dead after an early morning shooting outside a busy recreation centre in Pickering Sunday. Durham Regional Police were called to the Pickering Recreation Complex at 1867 Valley Farm Road at around 6:30 a.m. for reports of multiple shots being fired. Police responded and found the victim lying outside behind the recreation centre, near a playground and a skate park. “Officers arrived on scene, locating a male victim with obvious signs of trauma,” Insp. Glen Courneyea told CP24 in an interview. Officers performed CPR at the scene and the man was then rushed to hospital by paramedics. However he died of his injuries on the way to hospital, Courneyea said. Investigators have not yet been able to identify the victim. 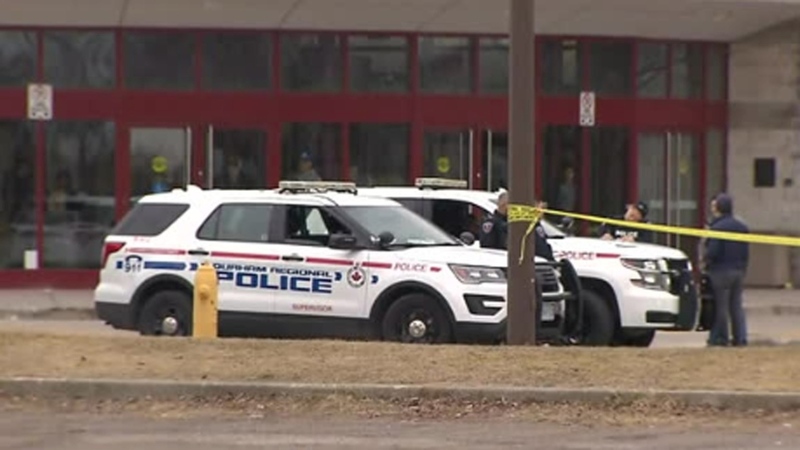 The shooting occurred as parents and kids were arriving for a hockey tournament being held at the rec centre. However police said that participants were arriving at the front of the complex and none of them were believed to be in the back of the centre when the shooting took place. Yellow police tape cordoned off a large area at the back of the rec centre Sunday morning and multiple evidence markers were visible in one section of the parking lot. “We’ll be combing through the park area looking for anything like shell casings, any evidence, clothing – anything that was left behind by the suspects or the victim and hopefully that will shed some light for our homicide investigators,” Const. George Tudos told reporters at the scene. Police also said they would be using a drone-mounted camera to survey the large area in order to try and spot further evidence. There is no information on suspects so far. “We are still searching the area for them, but we don’t have any descriptions,” Courneyea said. Police are asking anyone with information to contact investigators. The fatal shooting is Durham Region’s third homicide of the year. 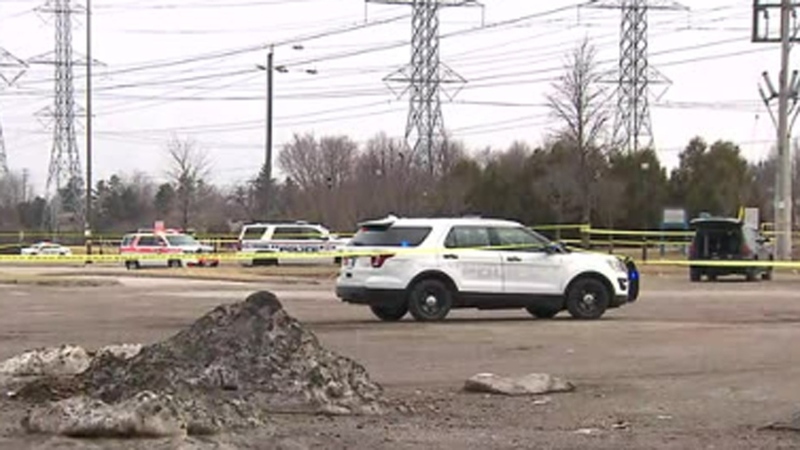 Police investigate a fatal shooting outside the Pickering Recreation Complex Sunday April 7, 2019.